Congratulations to Rob Young, whose latest book, Electric Eden: Unearthing Britain’s Visionary Music, has been getting excellent reviews of late (see here, here and here). 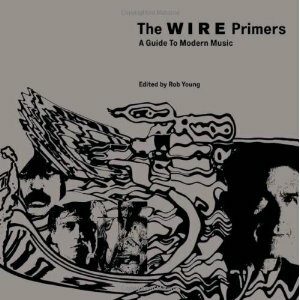 Fans of Young’s work, as well as of The Wire magazine more generally, will be interested in The Wire Primers: A Guide to Modern Music, which surveys the musical universe of several artists, groups and genres by way of contextualizing introductions and thumbnail guides to the most essential recordings. As theorised in his masterwork Postmodernism, Or, The Cultural Logic of Late Capitalism , Jameson’s ‘nostalgia mode’ is not to be confused with either the nostalgia felt by an individual for his own past or veneration and longing inspired by a remote-in-time antiquity that seems superior to the present. Rather it’s a symptom of artistic and cultural malaise, an inability to innovate forms of narrative and modes of expression capable of representing the present let alone projecting the future. Talking of nostalgia, remember when the broadsheets reviewed serious cultural theory? See Simon Reynolds’ review of Fredric Jameson’s Postmodernism from the Observer in 1991. Simon Reynolds is contributing an article on Grime to the forthcoming The Wire Primers: A Guide to Modern Music.